Fifth Edition of the Aerospace & Defense Supplier Summit Seattle, April 6-8, 2020. Boeing's role in Aerospace and Defense Supplier Summit Seattle 2018? This is an exciting and challenging time to be part of the aerospace industry, and collaboration is key to success. Boeing recognizes that a dynamic and engaged supply chain is vital for us to meet the needs of our customers. The 2018 Aerospace and Defense Supplier Summit in Seattle is an excellent opportunity to make new business connections and strengthen existing relationships. Representatives from across The Boeing Company will be in attendance. I hope you are also able to join us. 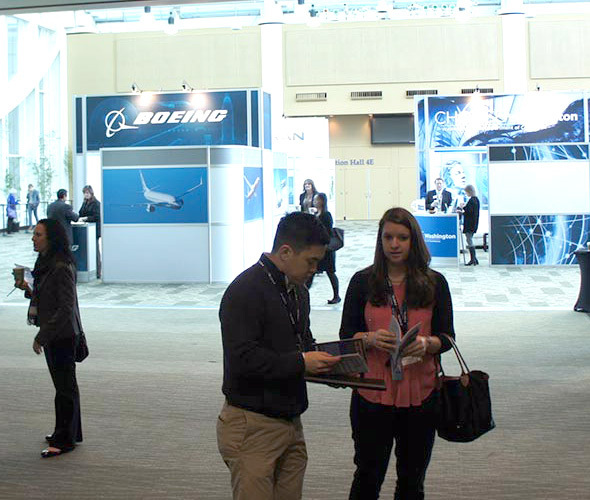 Aerospace & Defense Supplier Summit Seattle is a supply chain event that brings together aerospace and defense primes, tier suppliers and contract-manufacturers. Engineering, procurement, supply chain, fabrication, commodity teams, suppliers and service providers will meet through pre-arranged one-on-one meetings. A&DSS Seattle is the venue where requirements meet technologies and capabilities without the distractions found at traditional exhibitions.